Many events lead up to a wedding and the bridal shower is one highlight many brides and their family and friends look forward to. It’s the perfect time to celebrate the bride-to-be before the chaos of the wedding day begins. 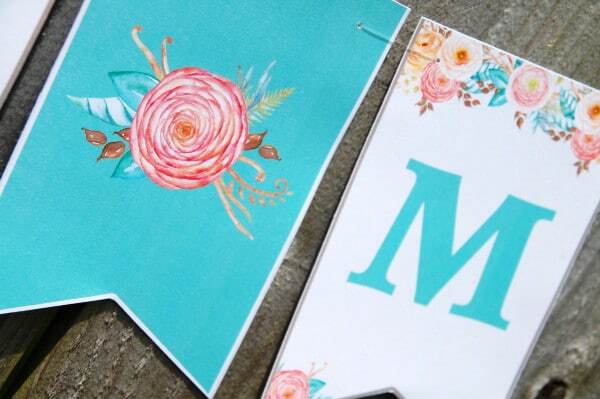 Spring and summer months are popular for many bridal showers and Shannon of Painting Paris Pink is sharing these gorgeous Floral Bridal Shower Freebies with all of you today! 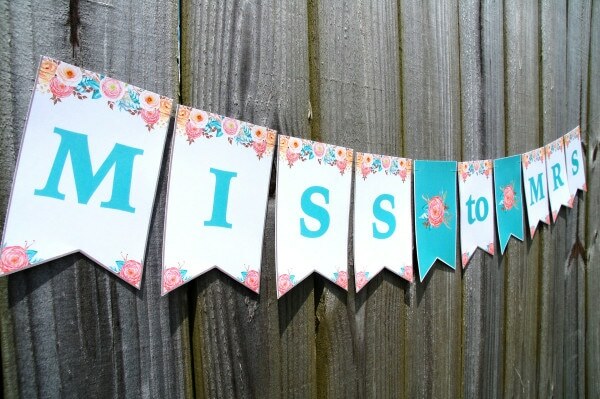 This stunning bridal shower printable set includes 2 fun bridal shower games and a Miss to Mrs. banner. 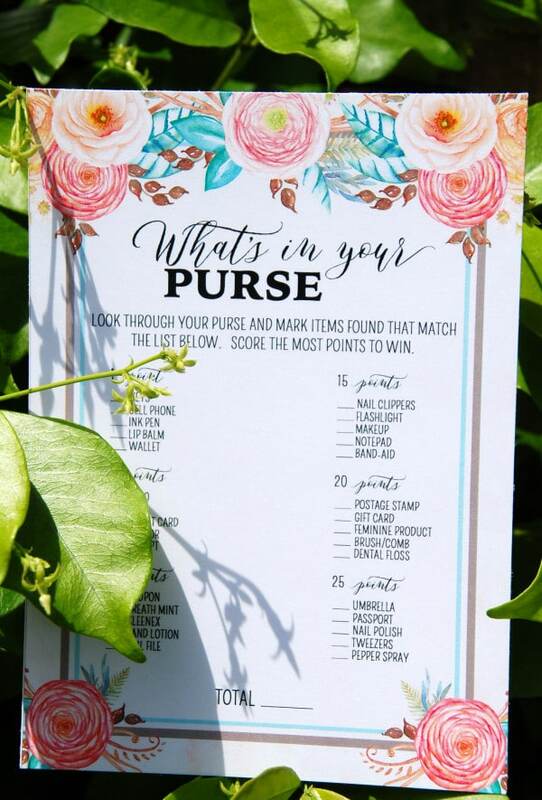 “What’s in Your Purse” is a fun game for all the ladies at your shower to play! 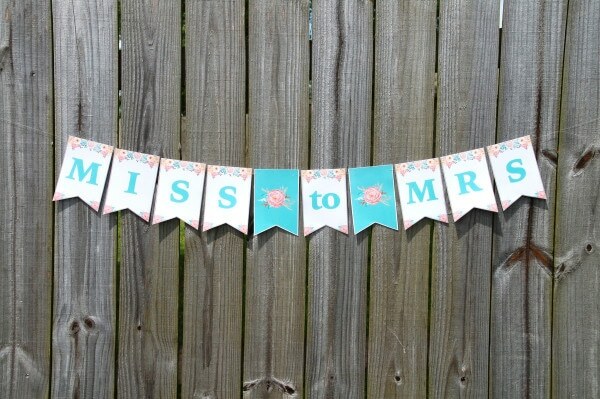 Add this gorgeous floral “Miss to Mrs.” banner anywhere at your shower. Some ideas include at the dessert table or candy bar, on the table where the bride-to-be will sit or at the gifts table! 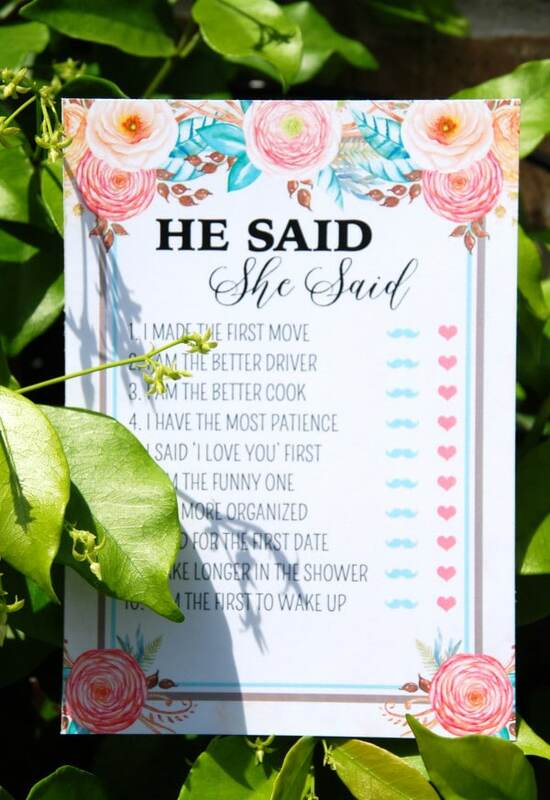 This “He Said She Said Game” is another fun way to keep guests entertained at your bridal shower. 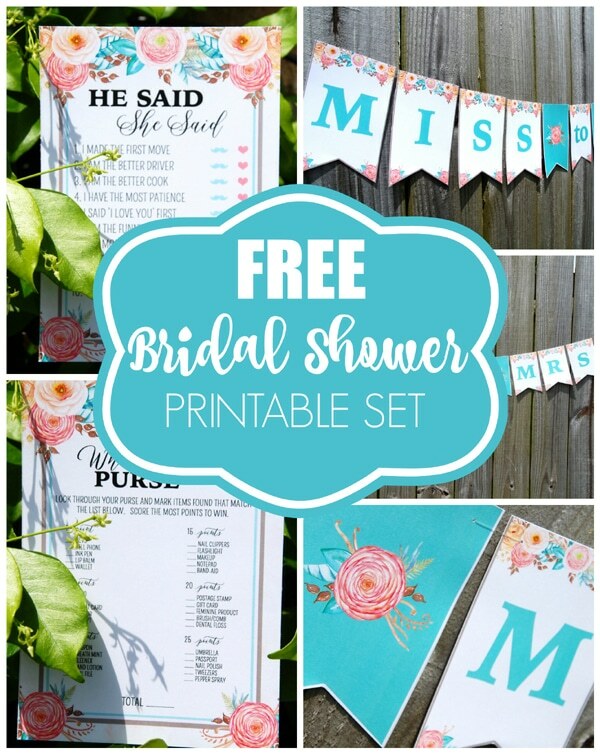 Also, be sure to check out this list of 50 Free Bridal Shower Printables – a popular post here on Pretty My Party! We LOVE to see how you use these Free Printables at your bridal shower. Tag @prettymyparty and @painting parispink on Instagram and use the hashtag #prettymyparty. You could be featured on Pretty My Party’s Instagram! How would I print the He Said, She Said game? Thanks. Click on the link and there will be a place to download it in the blog post. I’m trying to download your cute “Bridal Shower Games and Banner” and the link isn’t working (i’ve previously opened it, but it no longer loads). You might want to address this.